Book now your Athens airport taxi. Our expert taxi drivers will transfer you from and to Athens International Airport (AIA) “Eleftherios Venizelos”. Above all, at the Athenian taxi, we transfer you from/to Airport at fixed prices. 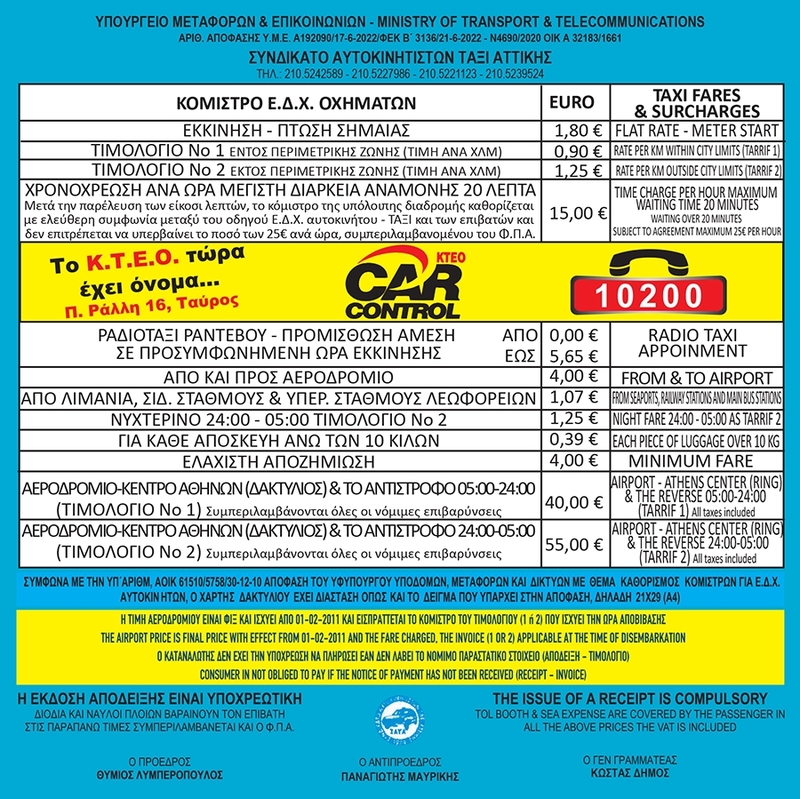 Even more, our prices are according to the Greek taxi fares. You can find some useful info here at AIA’s official site. How will you charge me from and to other areas except for Athens Ring? Firstly, there is the taxi flat rate at 1,29 €. In other words, when you enter a taxi in Athens the meter starts at 1.29€. In addition, there is an extra fee from and to the airport at 4,18 €. If you want to book a taxi at a specific date and time, there is an extra fee of 6,00 € (pre-booking). Then, you will be charged per km. The taxi rate per km in city limits is 0,74 / km on daytime (05:00 – 24:00). On the other hand, the same rate on nighttime (24:00 – 5:00) is 1,29€ per km. In the same way, the taxi rate outside city limits is 1,29€ per km. Contact us to get an approximate price quote right now or fill the booking form and we will contact you with our offer! Our meet and greet service label. 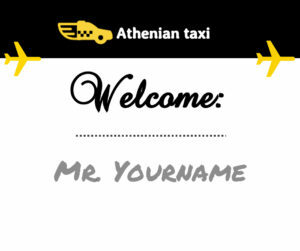 At Athenian taxi, we want you to enjoy quality personalized taxi services at reasonable fair prices. Our drivers are experts at Airport Pickups. You will provide us with your flight number and the driver will monitor your flight. Thus, he will be on time, ready to transfer you and serve you in the best way possible! All of our vehicles are the newest taxi models around (Skoda Octavia, Toyota Prius etch). Each taxicab has a capacity of 4 passengers. Moreover, all of our vehicles are the legitimate classic Athens yellow taxis. In addition, all of our drivers are expert professional taxi drivers. Both the vehicles and drivers are under the laws and the supervision of Greek Authorities and the Greek Ministry of Transportation. Each vehicle has a legitimate taxi meter supervised and installed by the Greek Authorities. Is Athenian taxi a kid friendly taxi in Athens? If you are looking for a kid-friendly taxi in Greece to pick you up from Athens Airport with your kid, you are in the right place. At Athenian taxi, we are doing our best to be kid friendly as well as autism, spd and ADHD Aware. If you are travelling with a kid or a kid with ASD, SPD or ADHD please let us know when you book your taxi. For example, you can ask the driver to lock the doors so that they will not open from the inside.Furthermore, you can take advantage of our meet and greet service. In other words, you can ask your driver to be at the arrivals lounge to greet you and take your luggage stroller so that you can take care of your kid. At our Athens airport taxi, you will not have to worry about your kid being frustrated or overwhelmed. Our drivers will try to be understanding and help you in any way they can. How do I book my Athens airport taxi? 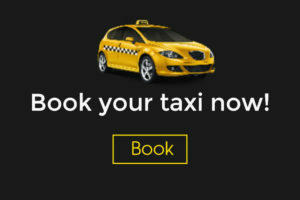 You can book your taxi by phone, email or by filling out the booking form. Firstly, we will give you a price quote. Then we will agree on a payment method. After that, you will book your airport taxi and you will have a guaranteed transfer at your arrival! Do you have any questions? Do you want to get a quote? Contact us or fill out the booking form!